I have an enormous amount of scarves, and have only been wearing them one way (The Simple Loop) for as long as I have been wearing scarves. Then one day one of my besties showed me how to braid a scarf, and it opened up to a whole new world for me! I can’t even begin to tell you how many compliments I get when I wear a braided scarf! I recently saw this video and thought it was ingenious! “4 Scarves, 16 Ways”, and I am SO loving it! I will definitely be trying out all of these! Dry and itchy skin. That is how I can describe mine this winter. It has never been like this before, so I am in a new territory. I started searching online and I found an abundance of DIY sugar and salt scrubs on Pinterest. A few, in particular, caught my interest so I decided to play mad scientist in the kitchen. I ended up trying quite a few from different websites, but I altered some of the “ingredients”, and amounts to fit what I had on hand. 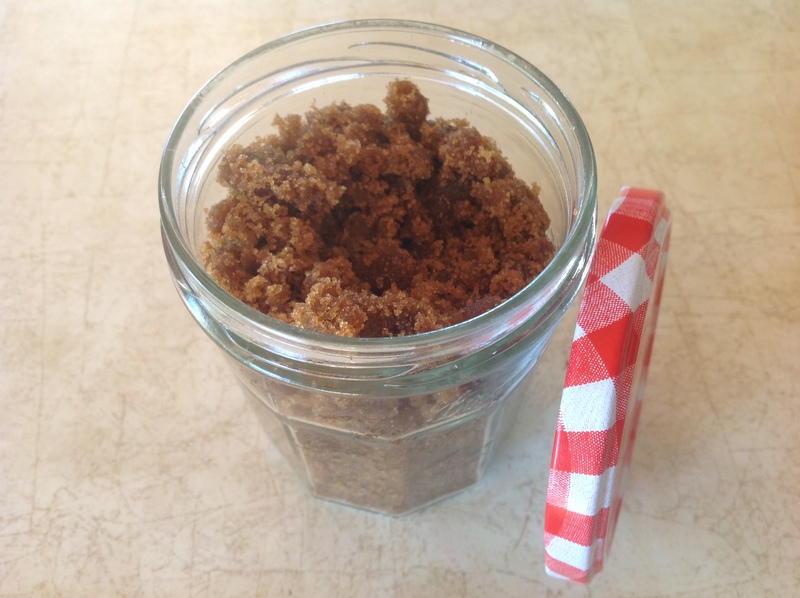 I was very pleased with 2 of my attempts- Pretty in Pink Sugar Hand Scrub & Luxurious Brown Sugar and Honey Hand Scrub– so much so that I had to share because it was SO easy (do you have 15 minutes?) and really budget friendly (I had everything in my pantry and bathroom)! Seriously, I would pay at least $20 for an 5oz jar of this stuff at the mall, easily! So, without further ado, here are two of my favorite recipes. Both are wonderfully nourishing and offer you a bit of luxury after a chaotic day. Enjoy! Directions: Pour sugar into small bowl. Next add gentle cleansing wash and baby oil (and Vit E oil if using). Gently mix all together until sugar is just saturated. Add food color and slowly stir until it becomes a pale pink color. Store in an airtight container. To Use: Wet hands. Put about a tablespoon of sugar scrub into palm of hand and gently scrub all over hands and fingers (it will sud up a little). Rinse off and pat hands dry. Follow up with your favorite lotion for baby soft hands! Directions: Pour sugar into small bowl. Next add Coconut Oil, Honey, and Vit E oil. Gently mix and fold ingredients all together until mixed well together. It may take a few minutes. Store in an airtight container. To Use: Wet hands. 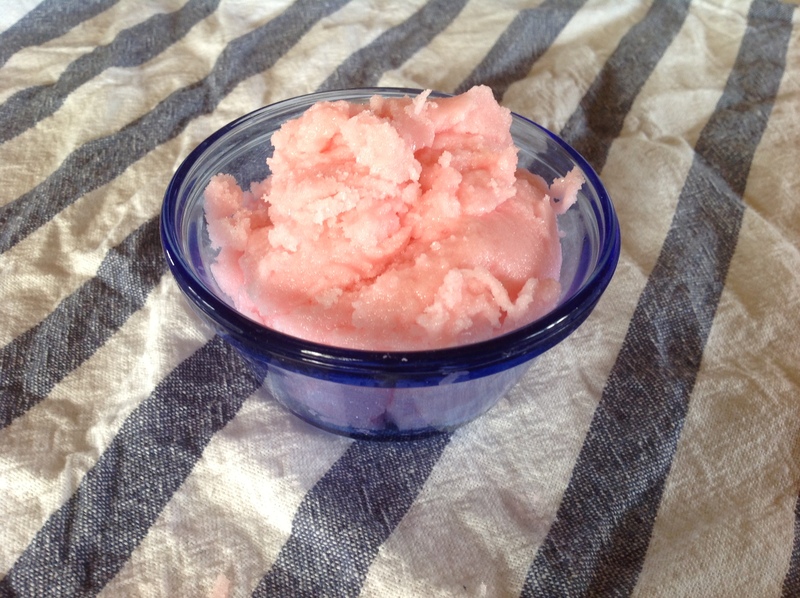 Put about a tablespoon of sugar scrub into palm of hand and gently scrub all over hands and fingers. Rinse off and pat hands dry. Follow up with your favorite lotion for amazingly soft hands that smell like cookies! Pure Luxury! I’m a HUGE advocate of DIY projects, and an even bigger advocate of utilizing organic/good for you products. That’s why I got so excited when I stumbled upon a plethora of tutorials for DIY body and lip scrubs on Pinterest that incorporated organic items you can use in your pantry! For some reason, my lips and hands have been so dry this winter (more so than usual). So I thought it would be interesting to try out a lip scrub just for fun. I was pleasantly surprised at the outcome, and just how lickably sweet the scrub is! I just had to share! Mix your “wet” ingredients (Coconut Oil, Honey, and Vit. E Oil) together in a small bowl until mixed together well. Slowly pour over sugar and fold together with a spoon until sugar and the “wet” mixture are combined. Be careful not to mix too much or you may make the sugar disintegrate. Store in an air tight container (like the plastic craft ones for holding small beads, or a small Rubbermaid container). Store at room temperature in your medicine cabinet or in the refrigerator. Take a small amount and apply to your lips with your finger in a gentle circular motion. Leave for one minuet (this may be hard to do because it is sooo lickibly sweet and hard to resist!). Wet a washcloth and gently wipe away. Follow up by applying your favorite lip balm (I use just plain Vaseline) for wonderfully smooth lips! Use every other day. Welcome to Bliss & Honeysuckles! Hi there! I'm so glad you stopped by! Let's sit back relax, and grab something to sip on! All of those special and wonderful things that inspire our days and encourage those absolutely blissful moments. Hopefully we will find some inspiration together, and discover our own Bliss among the Honeysuckles!